For nearly 10 years, Jón Stefánsson’s grade-seven students have been tracking the disappearance of their local glacier. In the south of Iceland, just inland from the main ring road that circles the country, sits the Sólheimajökull glacier—a mass of ice that stands stark against the black volcanic landscape. Several hundred meters away from the base of the glacier’s tongue, at the far end of the meltwater lake is a modest and unofficial-looking sign: jöklamælingar it reads in handwritten letters—glacier measurements. Below is a list of numbers, also added by hand. The sign has been here since 2010. That year, and every October since, Jón Stefánsson has brought his grade-seven students to Sólheimajökull from their school in Hvolsvöllur, a town about 60 kilometers west, to track the glacier’s retreat. To prepare for their field trip, Stefánsson’s students learn how to use GPS devices to carry out their measurements. They chart the distance from the sign to the glacier, providing a reliable measure of its steady disappearance. Since 2010, the school has seen the glacier retreat by more than 350 meters. This past year accounted for almost a third of that. The students also determine the depth of the glacial lake by lowering a sounding weight from a small boat. The fieldwork can be dangerous, Stefánsson says, “because there is a geothermal area beneath the glacier. There is a lot of hot water there, and sometimes it comes out.” Just in case, an expert rescue team is on hand. This isn’t the students’ first experience with scientific fieldwork, though. Their school, Hvolsskóli, which runs from grades one through 10, has a focus on environmental education. One of the school’s other research projects has students studying different methods to restore plant growth on eroded land in the area. Two students, Vala and Þorsteinn, say that they and their classmates even had a chance to talk about this project with Jane Goodall when she visited Iceland in 2016. “She was very nice,” Vala says. Vala and Þorsteinn are now in grade 10, but they still clearly remember their trip to Sólheimajökull three years ago, and how a group of tourists watched them while they worked. At the end of their visit, they updated the sign with the 2015 measurement. Back at school, they compared their data with that of previous years. “It was very interesting to see how much the glacier had shrunk,” says Vala. Sólheimajökull is not the only glacier that’s disappearing, of course. “The vast majority of glaciers in the world are experiencing exactly what they’re measuring at that glacier in Iceland,” says Twila Moon, of the National Snow and Ice Data Center at the University of Colorado. Glaciers maintain their size through a balance between snowfall in winter and melting during warmer months, she says. Only a few places in the world are currently experiencing precipitation levels that can keep up with a warming climate. Everywhere else, glaciers are melting. Professional glaciologists use a combination of techniques, from satellite images to field recordings, to track how glaciers are changing around the world. But a lot of valuable data also comes from volunteers, says Moon, citing photographer James Balog’s work as an example. 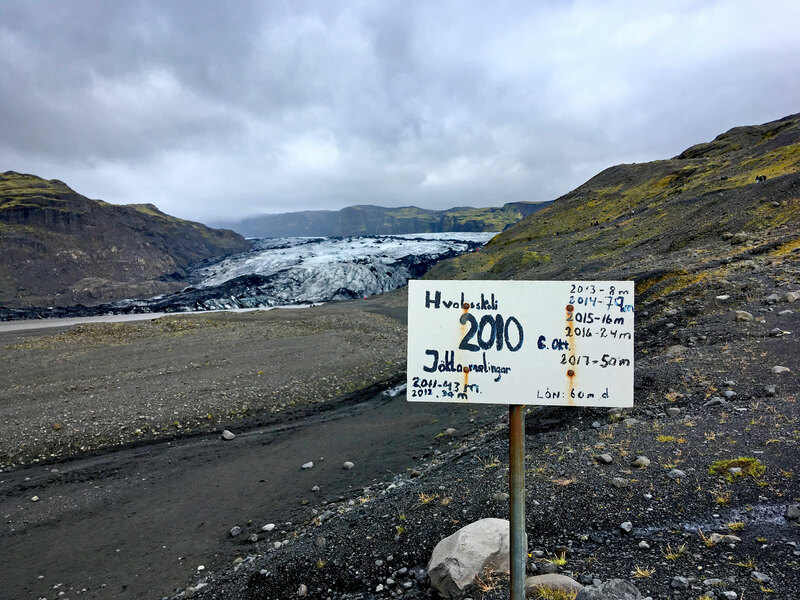 Balog has placed cameras at several glaciers around the world, and one of his projects is a 10-year time-lapse (below) of a shrinking Sólheimajökull. According to Moon, the types of measurements the Hvolsskóli students are taking at Sólheimajökull are also a perfectly good way to record information about the glacier. “The main thing is that they have their method written down or documented and [are] making sure they’re doing the same thing each year,” she says. Stefánsson shares the school’s data with the University of Iceland, where researchers are monitoring the gradual shrinking of Sólheimajökull. The annual school trip provides another datapoint that they take into consideration. Around the world, teenagers are participating in a surge of environmental activism. Inspired by Swedish 16-year-old Greta Thunberg and others, thousands of teenagers are organizing protests and voicing their concerns about climate change. Many teenagers are very aware of the threats of climate change, but few have had as much hands-on experience with glacier research as the students of Hvolsskóli. 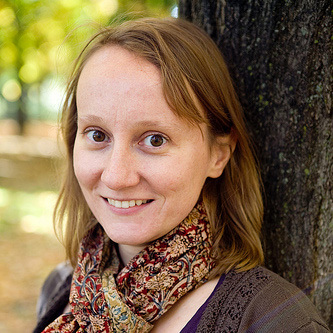 A former biochemist, Eva Amsen now specializes in science communication, scientist communities, and new forms of scholarly publishing. As a writer, she has contributed articles to The Scientist, Popular Science blogs, Spacing Magazine, and other publications. She also cofounded the science career site MySciCareer. Cite this Article: Eva Amsen “Glacier Lessons as a Glacier Lessens,” Hakai Magazine, Mar 25, 2019, accessed April 24th, 2019, https://www.hakaimagazine.com/news/glacier-lessons-as-a-glacier-lessens/. As the Comox Glacier disappears so does part of the local culture. Buoyed by climate change, an invasive plant is taking over the landscape of the island nation.